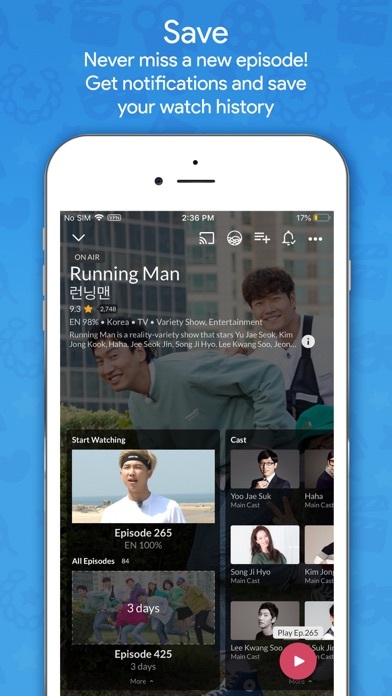 Doing 4 stars instead of 5 I love the app and Viki has a GREAT selection for what to watch, however it’s support with chrome cast is terrible if it decides to fully connect if will boot you out to the viki homescreen multiple times each episode. I hope they can fix their chrome cast capabilities since I can’t stand watching stuff on my phone all day long. 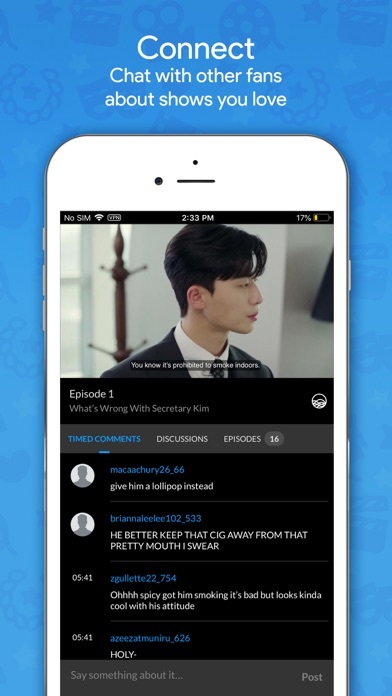 It’s a great app and all, but recently on the drama “He is psychometric” the subtitles start to disappear and randomly appear leaving me lost, please fix, thank you. 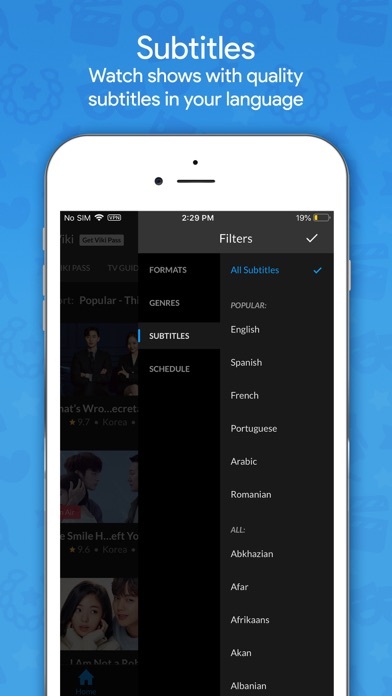 It a great app however their is too many ads for people who don’t or can’t pay the Viki pass I also recommend trying to allow more series into the app like heirs and many other good dramas it would bring many more viewers,Other than that it’s a really good app. I wish the commercial is not that long. 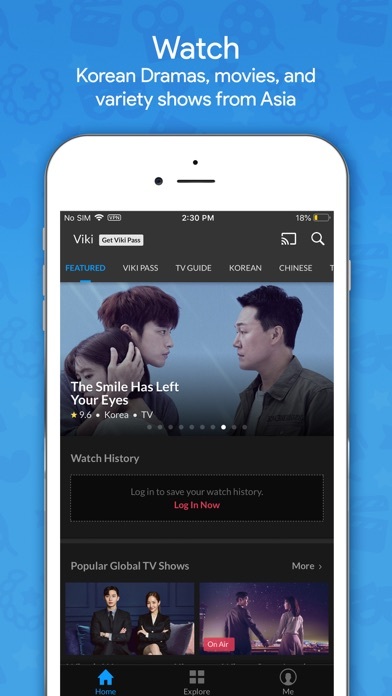 I joined Viki before and used the standards one cost only $49.99 a year. I rejoined again this year and think that it’s going to be the same like before. However, this time Viki would not let me watch Drama that has the series continue, for it allows only the Premium member that required me to pay $99.99 instead of $49.99. Some old movies that I have already watched before, I cannot watch either. I will keep only for one year and will not renew it, for I have a lot movie that I can watch on internet. I just used this money instead to pay for my internet cost at home that will save money for me. I love this app and I love the new option to learn Korean! Thank you for adding this. Please make this app available on smart TVs! I would love to watch Viki on my tv. The only app to watch dramas on smart TVs now is Asian crush and I don’t like that app. Viki is so much better. I used to really like this app a lot. Hence I upgraded to Premium. I don’t speak nor read Hanggul so I really mostly on the English subtitle. Just recently I am seeing a BIG Korean writing on top of the English sub. So frustrating. I hope they can fix it. Otherwise I will either cancel my subscription( due in Dec) or not renew it.